Still has a long way to go to match a modern battery-electric car. 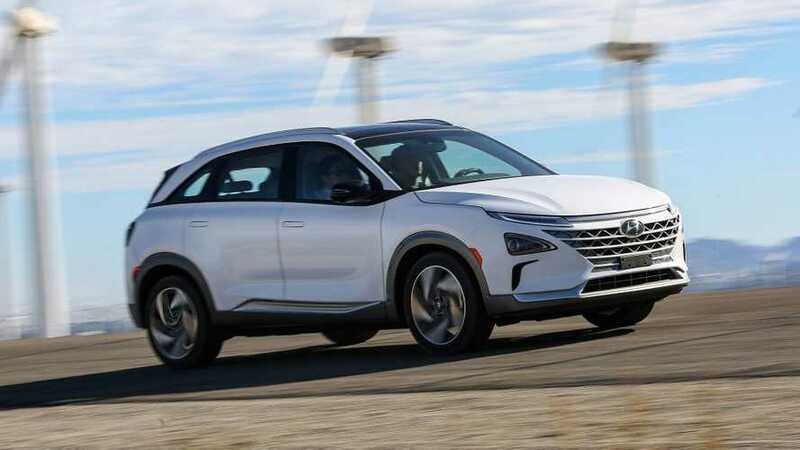 Hyundai is one of several automakers still aggressively promtote hydrogen fuel-cell vehicles, and this new hydrogen-powered crossover, called Nexo, is the company’s next step in bringing that tech to the public. 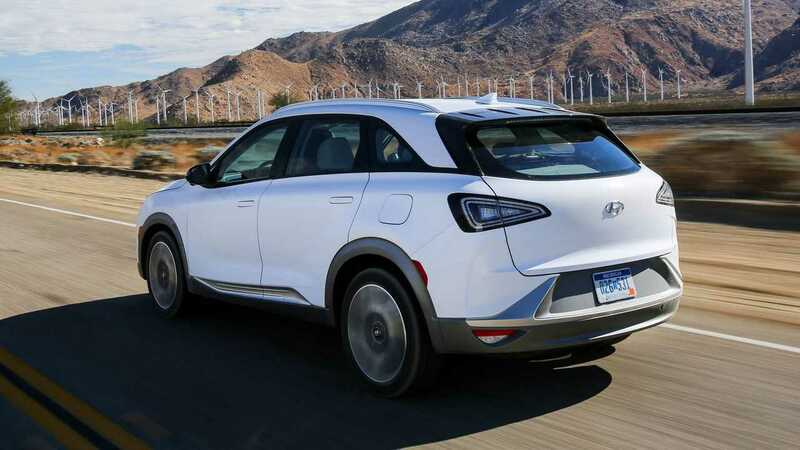 Compared to the outgoing Tucson-based fuel-cell model, this new one will be quicker, more reliable, more efficient, and more spacious inside. There’s not a lot known about the vehicle itself yet, but Hyundai is eager to share details on the new technology. Though still a crossover, like the Tucson, the Nexo is based on a bespoke platform, meaning that it can be specifically tailored to the needs of hydrogen-powered cars. This means, for instance, better packaging of the tough tanks that store the fuel. Three hydrogen tanks are stored below the rear floor of the vehicle, with a lithium-ion battery pack in the trunk. The car accommodates 14.0 pounds of hydrogen, versus 12.4 in the old one, in a storage system that weighs 36 pounds less than the Tucsons. The fuel cell stack (which converts hydrogen to electricity) is smaller, too. And by having all moving parts (the drive motor and cooling components) under the hood, Hyundai says the new fuel-cell car also keeps more noise out of the passenger compartment. The fuel-cell stack itself generates 95 kilowatts of power, which coupled to the battery’s ability to deliver 40 kW, means a total of 135 kW is available for the driver motor. That electric drive motor is more powerful than before, too. It now is rated for 120 kW and 291 pound-feet of torque, gains of 20 kW and 70 lb-ft. As a result, acceleration times for the Nexo are quicker than the Tucson FCEV: just 9.9 seconds to 60 miles per hour versus 12.5 seconds before. 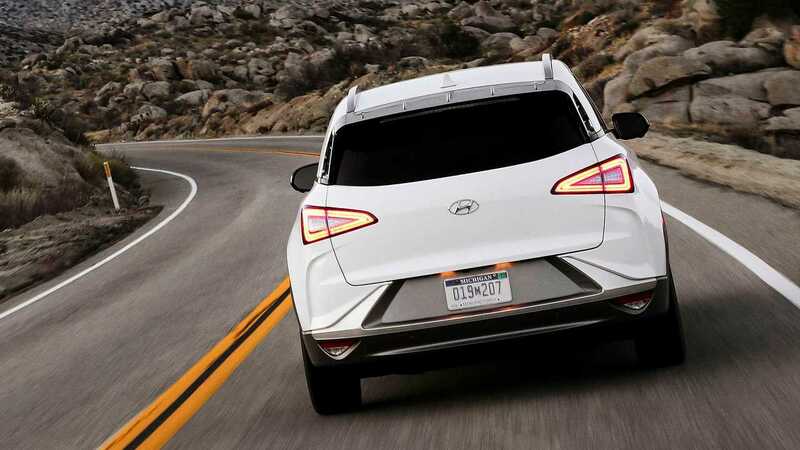 As to durability, Hyundai engineers say the system has been tested to the equivalent of a 10-year/100,000-mile life span; it would take about 150,000 miles of driving before the fuel-cell stack had degraded so far as to be at an “end of life” voltage. In other words, the vehicle should last essentially as long as many owners expect internal-combustion cars to. As might be expected from all the other technical improvements, driving range has improved, too. The Nexo is expected to get an EPA rating of 350 miles per fill-up of hydrogen while returning the equivalent of 57 MPGe. That’s enough, Gregeois notes, to drive from Los Angeles to Las Vegas without refueling. And it’s better than the Tucson FCEV’s rating of 265 miles per fill-up. Of course, fueling up with hydrogen is still a tricky business. There are few hydrogen filling stations nationwide, and Hyundai officials say the company has no interest in getting into the fuel-supply business itself. As is the case with any fuel-cell car, it’s going to be a chicken-and-egg situation before hydrogen stations are as prevalent as gas stations – or even EV charging points. “We still see internal combustion engines as being the dominant propulsion system out to 2025 and beyond,” says John Juriga, Hyundai of America Director of Powertrain. It’s still not exactly clear how and when Hyundai will try to commercialize the Nexo – the Tucson FCEV was available as a lease only, and only in certain parts of southern California. But what is clear is that Hyundai remains enthusiastic about the future of hydrogen-powered vehicles.